Einstein Health has been delivering babies in Philadelphia for over 150 years. In honor of their 150th anniversary the Born At Einstein social media campaign was launched. 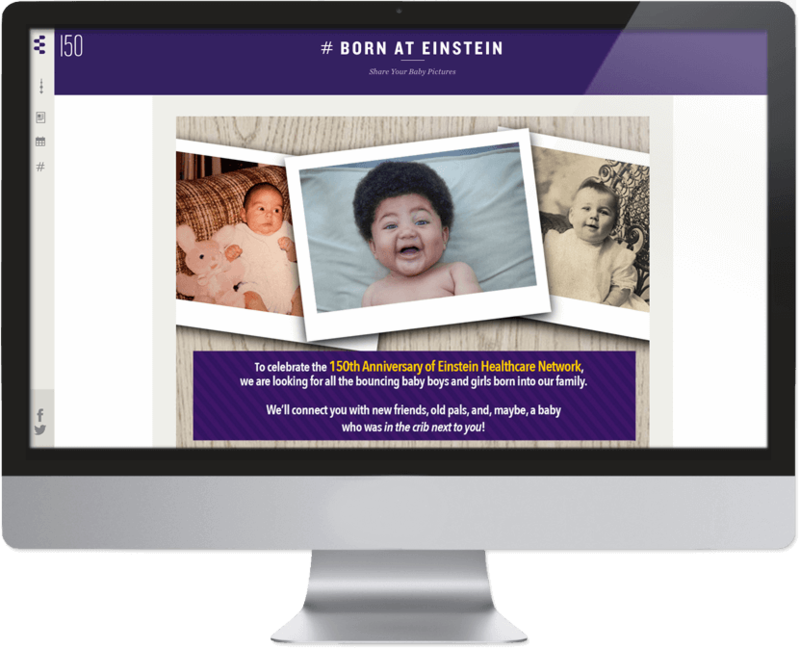 As an addition to the Einstein 150 website, the Born At Einstein campaign allows current and former patients to submit their baby photos. Using Wordpress, we built a submission form and an approval system in the Wordpress Dashboard before the posts would go live. It was the perfect solution for Einstein Health to be able to monitor the posts for content before they posted the the live website.